By nature, jazz musicians are historians. To become a jazz musician, you pretty much have to check out nearly 100 years of recorded music from the previous generations of jazz musicians who paved the way. We can end up checking out the same records, studying from the same books and awesome websites, and even going to the same schools. However, the danger is that we all end up sounding the same! This is why having your own sound is so important. Learn to play the solos and/or licks of the masters. You can write them down or just learn to play solos by ear. Learning to play someone else’s solo helps your technique, your ideas, your timing, articulation, etc. Transcription works wonders, especially in large doses! Etc. We know that these are things we are supposed to be doing. But sometimes the very fact that we are all doing the same things can lead to a generic jazz sound without much integrity. What about developing your own sound? Developing your own voice on the instrument is something that can easily get lost in the mix of listening, practicing, and transcribing, but it’s an important thing to consider at a more advanced stage in the game. Your sound is not just your tone on your instrument, although that is part of your sound. Your sound is your style. Style trumps everything. People want to listen to a musician who has their own compelling sound. The trouble is that if we all are doing the same things as we develop, we might not do anything to distinguish our playing from other musicians. We might never develop our own style. This is a very real danger, but one that can be avoided. We should all be developing a deep vocabulary and ways of expressing ourselves musically that are unique to us. One school of thought is that if you do enough listening and transcribing of different players that you enjoy listening to, you will eventually develop your own voice. I think there is something to that, and it’s proven to work for those who REALLY dig in and dedicate themselves to these pursuits. However, I also think it’s very healthy to actively think about what you can bring to the table that sets you apart. What do you have to say musically that’s unique? Why would people want to listen to your music as opposed to someone else’s? You have to answer these questions for yourself as an artist. Teachers can guide you, but ultimately your musical voice is up to you. By all means, transcribe and listen. A LOT! But don’t forget to think about developing your OWN sound and your OWN voice as a musician, at least eventually. Though transcribing is important, I don’t think that people should set out to be clones of other musicians. The goal of listening to jazz should primarily be to enjoy the music. That’s why we became jazz musicians in the first place! The secondary goal is to absorb elements of the music into your own playing. Transcribing is different than listening. While listening can be very active also, transcribing is by nature always an active pursuit. Transcribing involves learning other people’s music to help you improve your own. The goal of transcribing should be to develop your own voice through the assimilation of the music of the masters. 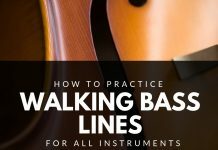 I want to make a final note of the fact that developing your own sound is not an appropriate short-term goal for beginners, who just need to focus on learning basic jazz vocabulary. Developing originality may not even be an appropriate pursuit for many intermediate players. We all need to pay our dues before originality really becomes a pressing issue. 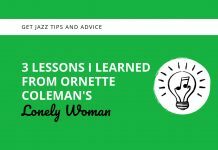 Learning to navigate a minimum of 100+ standards, learning licks, listening, transcribing, and generally learning the language of jazz should be pre-requisites to spending much time pursuing your “own voice.” I do think that the pursuit of originality is important eventually, but it’s something that should be earned after reaching a certain level of proficiency. It shouldn’t be pursued too early, lest it gets in the way of the fundamentals. No one wants to hear the original voice of a jazz musician who can’t play rhythm changes, for instance! Bird had a sound. Miles had a sound. 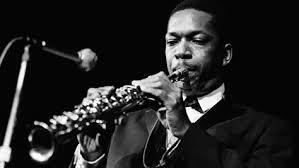 Trane had a sound. What do you want your sound to be? Only you can answer that question, and the more attention and effort you can give toward developing your own unique voice, the more things will come together for you as an artist. Just make sure to acquire the fundamentals first!